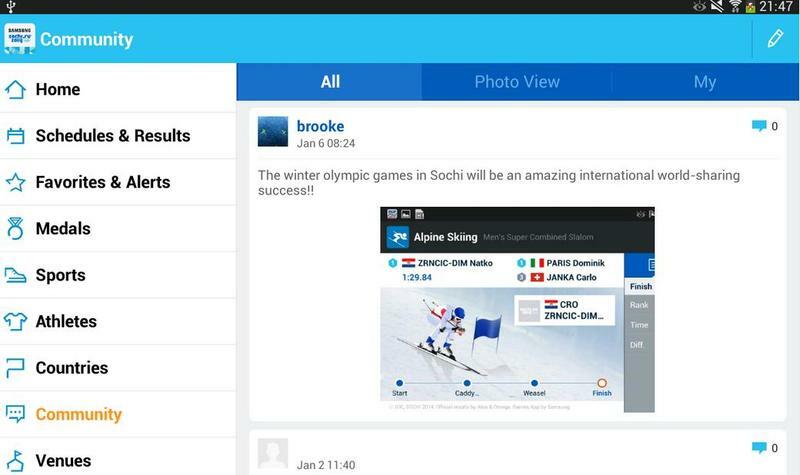 Samsung on Tuesday released its Sochi 2014 Olympic Winter Games application for Android Samsung devices, which should help you keep track of the 2014 Winter Olympics closer than ever. We just installed the application on a Galaxy Note 3 to give it a quick look. When you open it, you can choose your favorite country, athlete and sport. 15 sports are available for tracking in total, including alpine skiing, biathlon, bobsleigh, cross-country, curling, figure skating, freestyle skating, ice hockey, luge, nordic combined, short track, skeleton, ski jumping, snowboarding and speed skating. 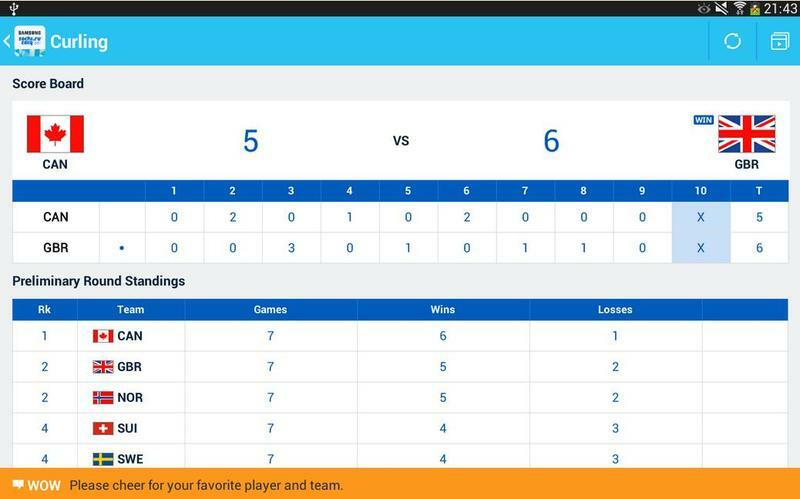 After you’ve chosen your favorites, you’ll be brought to a homescreen that shows how many medals your country has accumulated so far, in addition to schedules for each event, news and more. There’s also a community feature for discussing events, in addition to news, photos and videos. 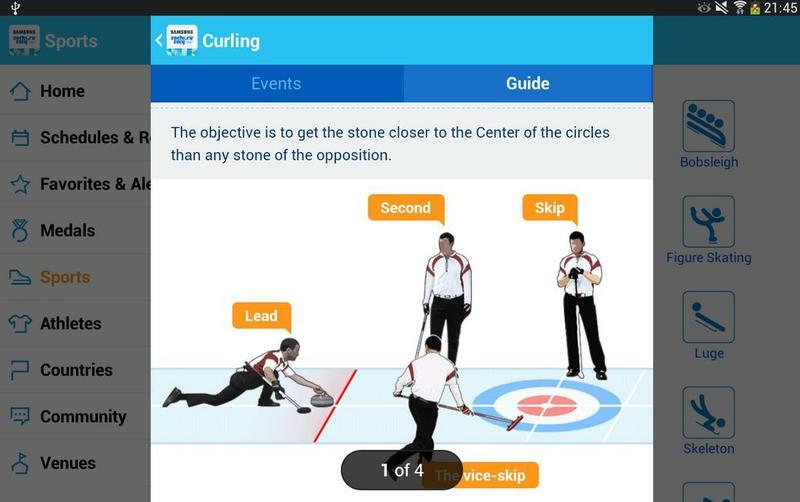 If you’re unfamiliar with a specific sport, there are even small tutorials on how each event works and is scored. The app looks really well done, and will probably be really useful during the Olympics if you want to track specific events like a hawk. The download is free from either Samsung’s App Store or Google Play. Right now it appears to mostly be compatible with Samsung devices, only.